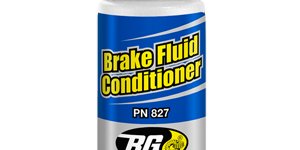 BG Brake Fluid Conditioner | BG Products, Inc.
BG Brake Fluid Conditioner slows corrosion in the brake system by maximizing brake fluid performance until your next BG Brake Service. 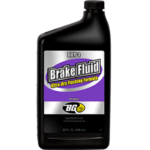 Brake fluid has been known to deteriorate before manufacturer-recommended brake service intervals (which are sometimes nonexistent). When that happens, brake system components are more vulnerable to rust. Then your vehicle’s stopping ability is determined by the effectiveness of rusted brake parts. 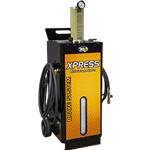 Test strip shows copper corrosion in your brake system. When it comes to safety, brakes are the most important component in a vehicle. One simple way to know if your brake parts are corroding is by having your technician check the copper levels in your brake fluid at each oil change. Factory-installed brake lines are made from copper-coated steel. 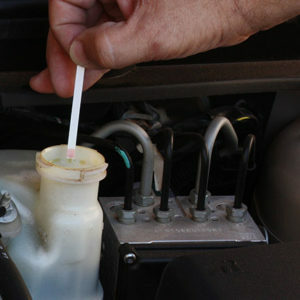 That copper is the first thing to deteriorate, then tiny copper ions will start to show up in the brake fluid. 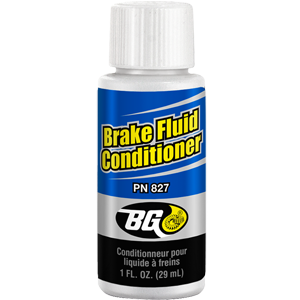 The BG Brake Service with BG Brake Fluid Conditioner is the ideal solution. 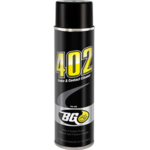 Recommended every 30,000 miles (50,000 km), the BG Brake Service completely removes all the old brake fluid and replaces it with fresh fluid, supplemented with a conditioner that will maximize brake fluid performance. Brake fluid should be checked at every oil service. 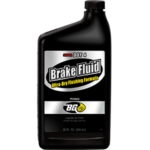 When brake fluid shows copper corrosion between 10 ppm and 150 ppm and it’s before the BG Brake Service interval (30,000 miles/50,000 km), BG Brake Fluid Conditioner is will boost anti-corrosion properties and maximize brake fluid performance. 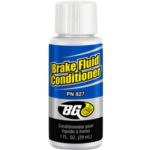 BG Brake Fluid Conditioner is part of the BG Brake Service. Find a shop near you that offers that BG Brake Service!